British Music’s annual trade mission to India is set for 1 – 7 February 2018, providing an open door for independent music businesses to explore commercial opportunities in the world’s seventh largest economy. The visit, arranged jointly by the DIT(Department for International Trade) as part of its Music is GREAT campaign – in partnership with record label associations AIM (Association of Independent Music) and the BPI (British Phonographic Industry), will take place in Mumbai, for a fourth year. The market for music is developing rapidly in India, a country that is increasingly consuming international repertoire and developing its association with the international music community. The week-long mission will act as a catalyst for collaboration, exploration and expansion of the British music industry in India. It will include a programme of education, networking, B2B meetings, conferences, showcases, music company site visits and other music related activities. DIT’s “GREAT” campaign was launched in 2011 to “get the world thinking and feeling differently about Britain, repositioning us as a vibrant, inspiring and innovative nation to visit and do business with”. This is a “Music is GREAT” India Music Mission with industry partners, AIM and BPI. Artists, managers, promoters, record labels and digital distribution companies along with festival bookers, directors, organisers and promoters, covering all genres of music, are being invited to participate. The mission organisers will be tailoring certain aspects of the program to suit the needs of all delegates. Activities planned with The Deputy High Commission in Mumbai include site visits to music companies, film studios and retailers as well as a music showcase evening and several opportunities for B2B meetings and networking with opinion leaders and industry professionals. It will end with a Queen’s Birthday Reception. 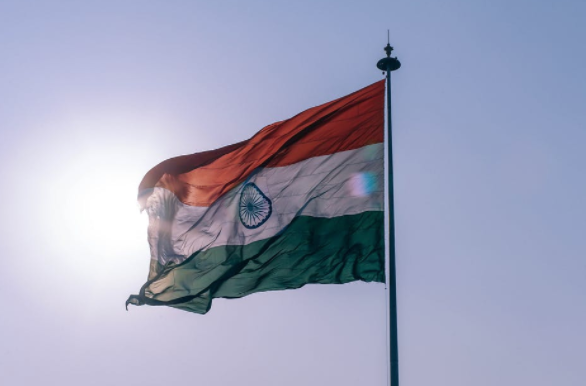 Emmy Buckingham, AIM International & Membership Manager, said: “AIM is excited to once again take part in this year’s music trade mission to India alongside our British Music partners. The mission offers an unrivalled opportunity for independent music companies to demystify the market, build relationships and develop business. User habits are evolving quickly and India offers huge potential for British entrepreneurs in music. Chris Tams, BPI Director of Independent Membership & International, said: “British music in all its diverse forms is popular in every corner of the world, but its appeal has been growing particularly rapidly is India. This is creating exciting opportunities for artists to build new audiences and for the music companies that promote them to forge fruitful business relationships that will help to drive our music exports. Minister for Trade and Export Promotion, Baroness Rona Fairhead, said: “The UK is a world leader in music exports and recognised for its exceptional home-grown talent around the globe. Some of the activities planned with The Deputy High Commission in Mumbai include site visits to Music Companies, Film Studios and Music retailers as well as a music showcase evening and several opportunities for B2B meetings and networking with opinion leaders and industry professionals. It will end with a Queens Birthday Reception. “British music in all its diverse forms is popular in all corners of the world, but one area where its appeal has been growing particularly rapidly is India. This in turn is creating exciting opportunities for artists to build new audiences and for the music companies that promote them to forge fruitful new business relationships that will help to drive our music exports. ← Have you heard Omer Nadeem’s ”HADH” unplugged?